Looking for private in-home or in-studio Viola lessons? Our Clarkston teachers are ready to get you started. Find your teacher today! Check out some of our most popular teachers near Clarkston, GA including Atlanta, Marietta, Decatur, Alpharetta and Duluth. 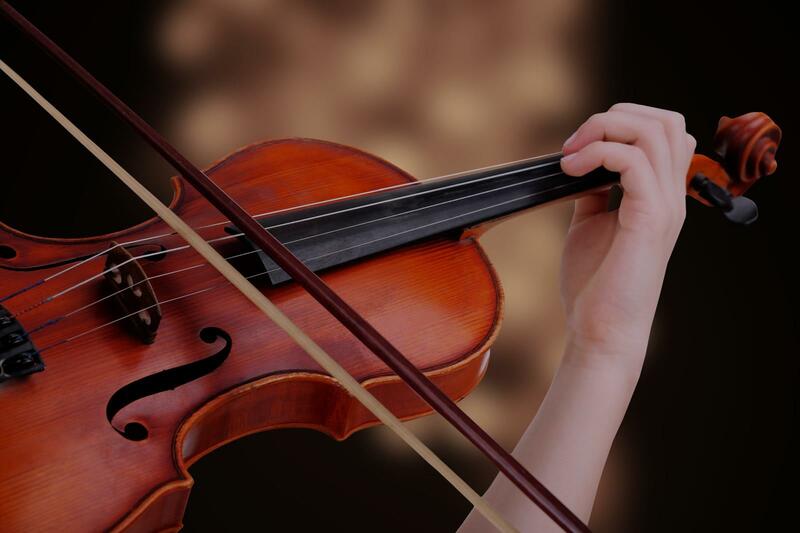 I am a career musician, and conservatory trained violin, piano and vocal instructor with over 40 years teaching experience, and a resume spanning many pages. I also am a well endorsed composer and public speaker. Furthermore, I LOVE teaching! I am a competition judge, member of National Music Teachers Association, and Suzuki Association of the Americas. I have proven results, as documented on my students YouTube channel. With my instruction, you will learn quickly and most importantly, correctly, saving you time and resources as you reach your musical goals. Fact: One of the only activities that activates, stimulates, and uses the entire brain is music, so let's get started! or my students to be instructed by a quality teacher. It's worth a try, isn't it? Please note: I only accept weekly lesson students. Also, due to my performances, I'm not always able to this calendar up to date....so when you request a lesson time, allow me to communicate with you, if we need to adjust it a bit. It almost always works out if you don't mind doing that. All the students on my Student YouTube channel who have studied under three years, are practicing 2 hours a week, and you will have a similar result. That's 20 minutes a day, 6 days a week. Students under 5 practice about 5-10 minutes a day. Please have an assignment book that lies flat, and keep it next to your music books as you practice between lessons. My instructions are very detailed to insure your best progress. For on-line lessons, you will need a quiet place, and please test your sound and video prior to beginning of lesson. For students under 13 or so, do have a parent or caregiver taking notes while we work together. I have much experience with various learning styles, and in fact, am featured in a documentary made of one of my autistic students. Stephanie is one of the best teachers you can possibly find through Takelessons. We are extremely fortunate to have found her. She is a successful professional musician who is very strict yet with a kind heart and skills/experiences to steer students through their learning limitations. I had trouble to make my older daughter to practice piano for years, and almost came to the point to have her given up learning. Stephanie changed everything. Now my older daughter is getting not only serious with piano but practicing harder then ever. I am so happy to see the results. Highly recommend her!!! Stephanie is s fantastic teacher! My daughter has thrived and grown like never before. When she wants to push her she expresses complete confidence. This builds my daughters confidence and she flourishes! She is in love again with piano! We drive an hour every week and it is worth it. If you are looking for an experienced teacher who loves to teach Stephanie is the one to go to. Stephanie method of teaching is ideal for me as an older adult...very patient but she challenges me not to take shortcuts and to follow her guidance. Our sessions are very productive yet enjoyable. I teach beginner and intermediate viola students helping them develop their bow technique and intonation. I am a highly-skilled professional musician certified as a certified Steinway education partner with over 14 years of teaching experience. I offer lessons in classical piano, violin, viola, conducting, arranging/orchestration as well as private tutoring in ear training and theory. nal piano goals and skill levels are, I will help you improve and enjoy playing the piano more. I am very patient, encouraging and supportive of your desire to play the piano better. In addition to piano, I teach beginner and intermediate violin and viola students. I encourage all my students to perform once or twice a year but this is entirely optional and based on the student's comfort level. I am available and willing to travel to your home for an extra fee as long as public transportation is available. Yoon Jae took my requests very much to heart and outlined a system of study which would help me get to the next level. He is very thorough, caring and professional. Also very pleasant to talk to. I highly recommend this excellent teacher! Yoon Jae is a great instructor. He teaches me the proper way to practice and correct my bad habits. He is very patient and professional. I'm so glad I ended up with Yoon Jae for my very first violin lesson. He took me through the first steps - as basic as holding the violin - really carefully and not at all condescendingly, even though I'm an adult who never even learned to read music. In fact, he couldn't have been more patient. I'd definitely recommend him to anyone who wants to learn violin in a supportive atmosphere! My students learn the music they want to learn including classical, jazz, pop style and how to improvise. I have MM degree in Violin performance and Orchestral Conducting from Europe and Russia and can teach you the Right Way Violin, Viola, Piano Music Theory, Conducting anywhere in San Diego in your own home or in my studio. I use Russian & European Violin, Viola and Piano methods with Suzuki Books incorporating Scales and Etudes for technical development of the student. Study with the Best Russian and European methods with results! Emil was a great instructor, very knowledgable and patient. I have improved in all areas thanks to his instruction. He would even stay late occasionally to play violin solos with me playing rhythm guitar! The student will be instructed on the basics of proper playing techniques, music theory, and musicianship. They will learn to read music and also play by ear which will make them a well rounded player. Mr. Blackwell unique talents as educator, instrumentalist, conductor, vocal coach, cinematographer, composer and arranger make him a sought-after teacher. Currently, Luther is working with the Bridgeport Board of Education at Roosevelt Elementary School for President Obama's Arts and Humanities Turn-Around Arts Initiative he is the Executive Director and Program Director of Blackwell's School of Music and Film and Minister of Music Director for New Hope Missionary Baptist Youth Singers. Glad to have met him. Super solid and getting me back on a lesson track after many years away from the piano. Luther is an awesome teacher. There are no shortcuts with learning music, despite what the Internet may say. Luther will take you down a path that, with commitment and practice, you will gain the skills to play any style. He will help you master proper fundamentals that can be built on. He has years of experience, and a proven methodology of teaching that will benefit anyone who will apply it. Clef reading, making a beautiful viola sound, playing with comfort and ease, sight reading, and expressing yourself through music. Hey! I'm a junior viola performance major at the University of Michigan School of Music, Theatre, and Dance. I started playing violin when I was 8 years old, switched to viola at 13, and the rest is history! As a teacher, my values are being able to play with physical ease, building a connection with the music you are playing, and producing beautiful, ringing sound. Ideally, our lessons would take place at the music school building in the practice wing. I want the student to love the music that they are playing, so our repertoire choices will always be carefully thought through together. I have lots of experiencing teaching children with zero music experience but am also totally comfortable teaching higher levels including intermediate and high school. Julia is a wonderful violin teacher, my daughter has been so happy with her lessons. Julia has a natural ability to teach and has always been kind and patient with my 6 year old. Julia is non intimidating, thorough and makes lessons fun. We look forward to every lesson! Can't find a teacher in Clarkston, GA?